CONWAY, NH – Residents of Conway will be deciding if the Conway Recreation center will be moving, who will be the new town clerk, and other issues when they head to the polls today. 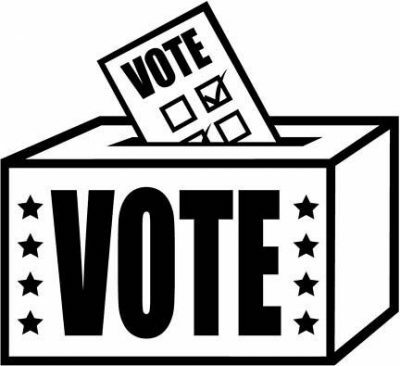 The polls at the Conway Community Building in Conway will be open from 8a.m. till 7p.m. Of the more contentious issues is Article 7, which asks the town to approve the relocation of the Conway Recreation department to an unused section of the Kennett Middle school, costing an estimated $700,000 half of which would be donated by Margaret and Charles Marshall. The board of selectmen recommend the article, however the budget committee does not. Article 8 asks for the town’s approval to relocate the town hall to the Bank of New Hampshire building in Conway, which is estimated to cost around $160,000 for remodeling and renovation costs. If approved the town would sign a lease that would run 36 years broken into three 12 year options. The proposed rent would equal the bank’s annual property tax bill. Both the board of selectmen and Budget Committee recommend the article. Other things up for discussion at the meeting include the towns recommended budget for the year, excluding special warrant articles. As stated in Article 4 the requested budget is $11,078,998. If not approved the budget would be set at 2017 budget amount of $10,951,370. Not included in the budget is a new proposed agreement with the Conway Police Department. Article 5 asks to go into a new agreement with the Police for 2018 and 2019 which would include a $65,063 increase in costs over the current agreement to cover salaries and benefits over two years. Article 19 asks to appropriate $2 million to construct a 2.8 multi-purpose path from Cranmore Mountain Resort to Hemlock Lane. The project is a part of Mount Washington Valley Recreation Path project. Those funds would be attained similarly to Article 17, with no money coming from local property taxes. In Article 20 the Conway Town Library seeks to raise no more than $7,500 to create and design a new website. The funds for this would come from the Library Trustee Donation Account. One proposal which many towns across the state will be discussing is Article 21 which asks whether or not the town wishes to allow the electronic gambling game Keno. The game has been approved in several towns across the state including in Berlin. A portion of the proceeds from the game go towards funding full-day kindergarten in the state, though a town does not need to allow the game in order to benefit from it. Article 23 is sure to be something many will question at the Wednesday night meet. It asks the town to give $10,000 to the Eastern Slopes Regional Airport located in Fryeburg. On petition that was originally rejected by the town but has since been added is Article 25 which seeks to give the Conway Area Humane Society $10,000 for medical care. When it comes to town positions up for election, the town will be looking to fill the role of Town Clerk tax collector, as 5 term town Clerk Rhoda Quint announced earlier this year she will not be running for reelection. The town will be deciding between Louise Inkell and Cynthia Shirley. John Colbath and Steven Porter are running to keep their seats on the board of selectmen. John Greenleaf Whittier is also running for a seat on the board of selectmen. The town will also have to decide on the library trustees, of the four up for election resident will have to choose 3 between Hans K. Hildebrand, Peter Innes, Alison Memoli, and Linda Fox Phillips. Trustees Donna Dolan and Debbie Cross are not running for re-election. There are also several write in campaigns in town for various positions up for election. Click for a full look at all of the warrant articles and operating budgets, and a sample ballot.